The TypoCircle celebrates 40 years with a poster exhibition at Protein Gallery including works by David Pearson, Paul Davis and many more. Marion Deuchars’ poster for her June 2014 talk ‘Making art makes you happy’. ‘TypoCircle 40th Anniversary Exhibition’ will be on at Protein Gallery 20-23 October 2016. 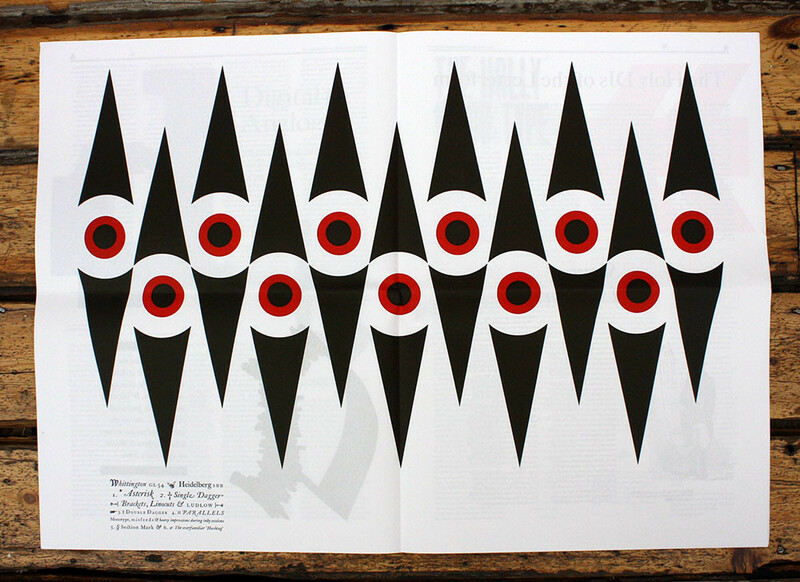 Compilation of TypoCircle posters from its past 40 years. 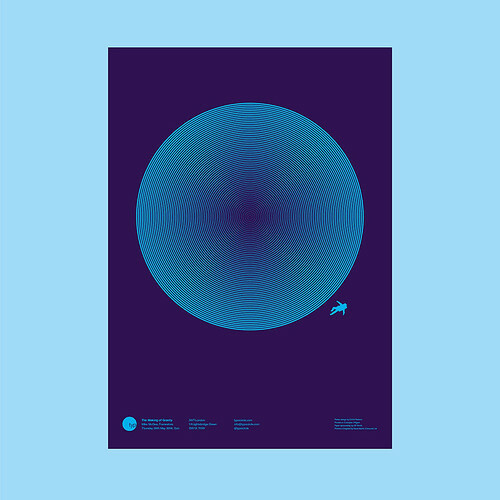 Framestore’s creative director and co-founder Mike McGee’s poster for his TypoCircle talk ‘The Making of Gravity’. Antalis has produced a twelve-notebook sample pack; each includes a short interview with an international designer on the subject of paper. 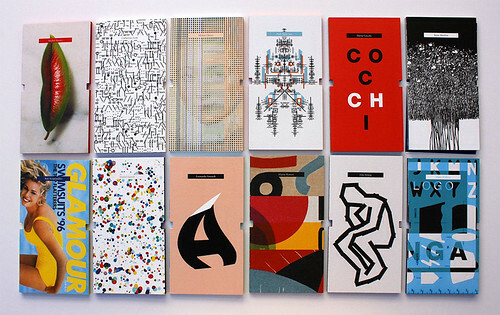 The set of paper sample notebooks feature a cover images by (and short interviews with) designers such as Daniel Eatock, Elaine Ramos and Eike König. 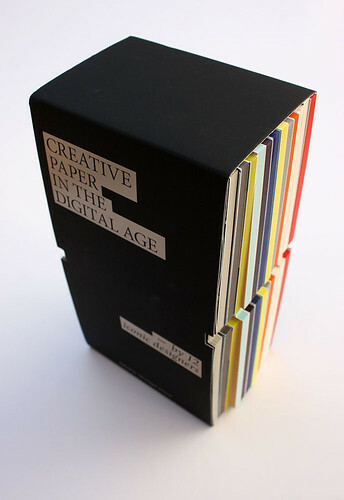 Creative Paper in the Digital Age, edited by Véronique Vienne, made using Arjowiggins papers, distributed by Antalis. 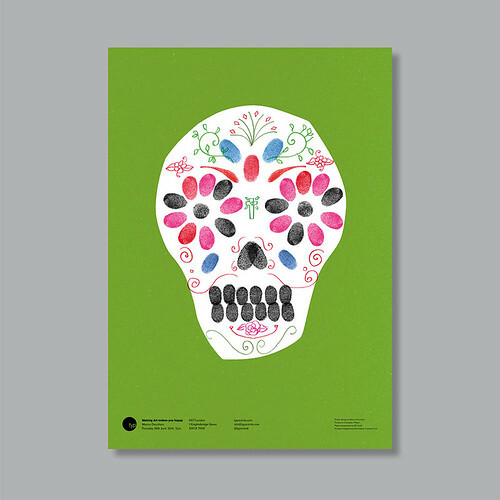 Art direction: Oriane Gibarroux. 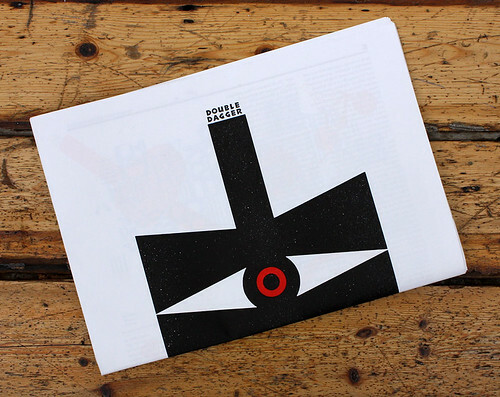 Double Dagger looks at ‘the role of letterpress in the digital age’ and brings together articles by leading printers about their practice. 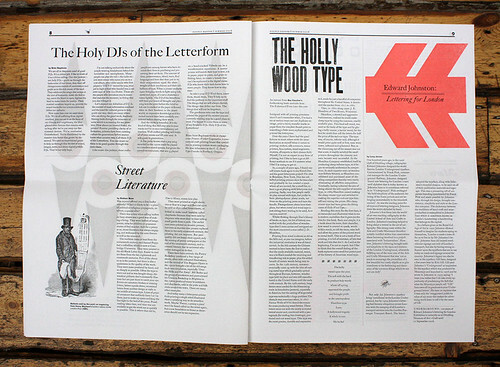 Spread from Double Dagger featuring articles by Brian Bagdonas from the Stumptown Printers Workshop Cooperative, Graham Moss who runs the Incline Press, Gee Vaucher of Exitstencil Press and Lucy Jenner who works at Ditchling Museum of Art + Craft. 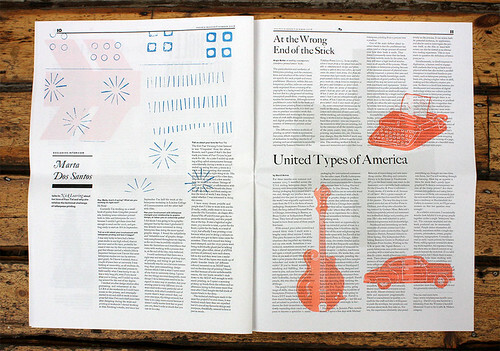 Spread from Double Dagger featuring an interview between letterpress printer Marta Dos Santos in conversation with Nick Loaring who runs the Print Project alongside articles by artist and PhD researcher Angie Butler and David Armes, who runs the Red Plate Press. This broadsheet / newspaper / journal is printed by letterpress on a Heidelberg SBB Cylinder Press on a Monotype Composition Caster by editors, publishers and producers Nick Loaring (Print Project) and Pat Randle (Nomad Letterpress). 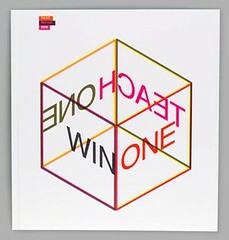 The D&AD Manual designed by LucienneRoberts+ embodies the mantra ‘Win One. Teach One’ by asking readers to use the annual as a learning tool. The 2016 annual includes a dedicated 24-page learning section. 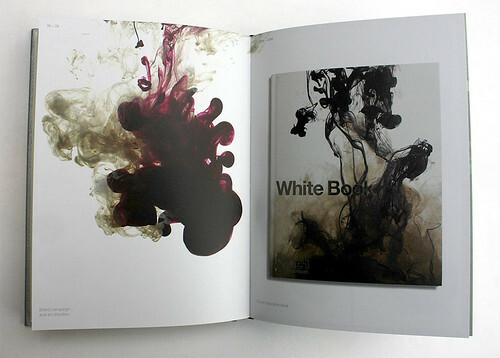 In the section showcasing the awarded creative work, readers are meant to learn from the printing, production and design features, some of which are annotated by Roberts. D&AD Manual 2016 is a collaboration between Lucienne Roberts and President Andy Sandoz. Design: LucienneRoberts+. Editorial Manager: Jana Labaki. London design studio SEA Design celebrates twenty years’ graft with a handsome book that showcases their work for international brands. 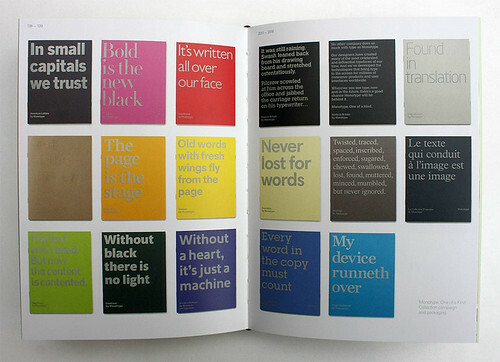 Spread from SEA 20 showing the brand campaign and inspiration book for G. F. Smith, clients 2006-10. See ‘1000 one-offs’ in Eye 80 and ‘Sampling the Modern’ in Eye 72. 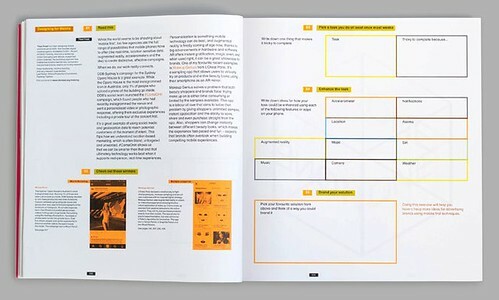 Spread showing the campaign and packaging for ‘Monotype. One of a Kind’, clients since 2011. 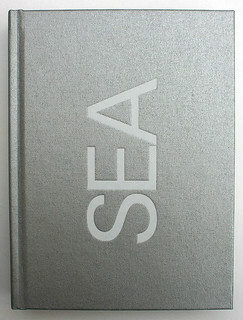 Design: SEA Design.